Specializing in Ductless Mini Split Systems - offering flawless installations, professional service and maintenance, optional 12-year Complete Warranty coverage, and Satisfaction Guarantee. Call us today: 888 718-8448! Specializing exclusively in Ductless Mini Split Systems. 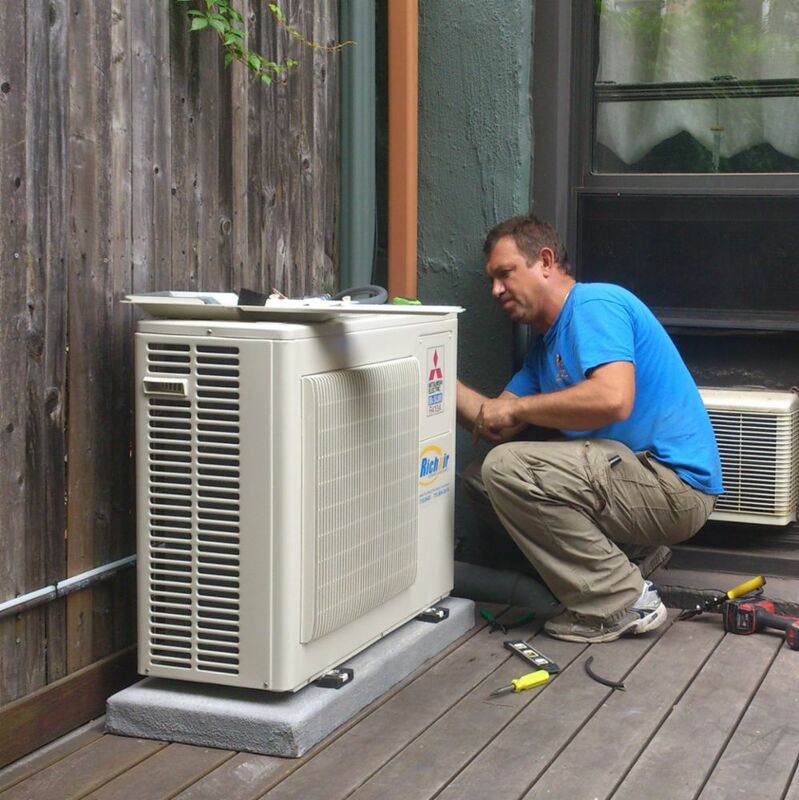 As our crews install and service Ductless Mini Splits every day, they are professional and proficient! Call us if you need a FREE in-home estimate for a new Ductless Mini Split System, or if you experience difficulties with already installed unit - we will be happy to accommodate! New York,	Brooklyn,	Jamaica,	Flushing,	Astoria,	Elmhurst,	Corona,	Ridgewood,	Woodside,	East Elmhurst	and other cities within 10 miles of Maspeth.,	Jackson Heights,	Forest Hills,	Fresh Meadows,	Ozone Park,	South Richmond Hill,	South Ozone Park,	Rego Park,	Woodhaven,	Richmond Hill,	Maspeth,	Sunnyside,	Middle Village,	Howard Beach,	Long Island City,	Kew Gardens and College Point	. After an initial installation, a project manager comes to check the quality, discuss any issues you might have, adjust the new system to your preferences. We offer an optional 12-year Complete Warranty Coverage (http://richairductless.com/library/ductless-mini-split-units-12-year-complete-warranty), which includes 12-year Maintenance Plan. Your new ductless System is a sizable investment, it is worth of keeping it checked and maintained. "We should do only one thing, but we must do it really GOOD". Since then, Ductless Mini Split Systems, that is ALL we do! Carefully choosing right installers, constantly training, hand-picking quality materials and equipment - we want to make sure you get the BEST. By the end of 2008 we have installed more than 300 systems and became really proficient at it. 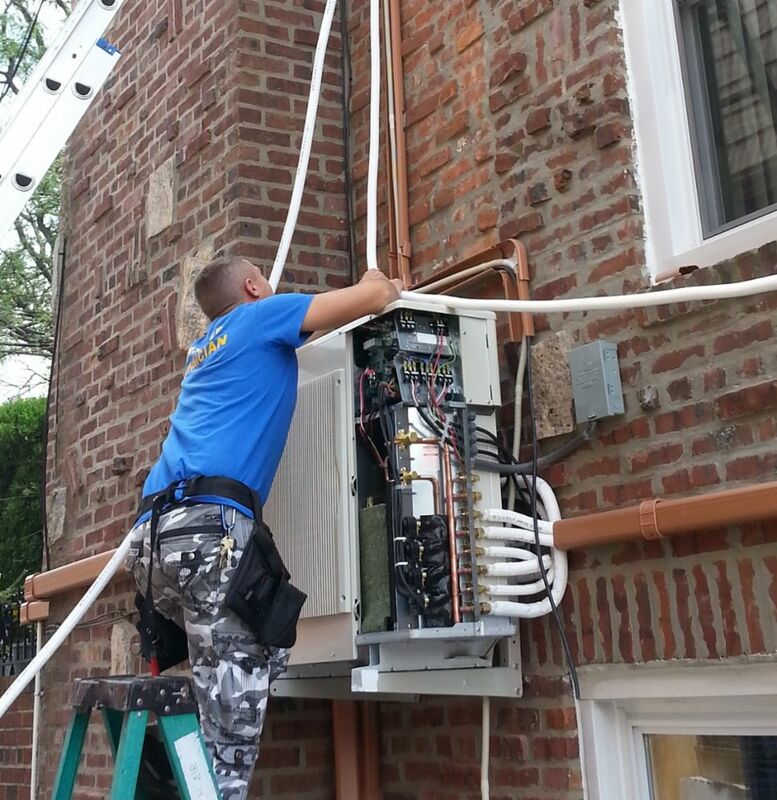 That is because our technicians install Ductless systems every single day (of course when weather permits). By now, more than a thousand systems have been installed, and more than a thousand happy customers enjoying their efficient comfort! Call us today or go to http://richairductless.com/schedule-your-own-in-home-appointment to schedule an appointment at your convenience. We will be happy to help! First - we provide a professional installation! Unfortunately plenty of homeowners get fooled by cheap initial price and empty promises. Many end up replacing the system in a few years, calling us for service and spending unnecessary money, or completely disappointed with the ductless system at all. A professional installation assures that the system will be installed properly, and will serve the expected lifetime without extra malfunctions (and expenses! ), just as you would expect. Second - a high efficiency system will reduce your monthly utility bills. It might be more expensive as an initial investment, but definitely will save much money in the lifetime of the system. Certified, licensed and insured. Our team is geared towards excellent customer experience. We treat each and every customer honestly and ethically! Give us a call, speak to our friendly customer care representatives - make your own conclusions. Do you know your job? Do not be fooled, check contractor's reputation (on as many search engines and listings as you can), study their website for stock images and meaningless phrases. If you feel you have any doubts - do not go with this contractor, there are plenty of real specialists around. Richair Comfort Solutions has been rated with 4.8 out of 5 stars based on 9 customer reviews. Fixr has reviewed the content provided by Richair Comfort Solutions to match our community guidelines. Richair Comfort Solutions has been rated with 248 experience points based on Fixr's rating system. Fixr has validated the email provided by Richair Comfort Solutions. A++: I had 3 floors (7 rooms} converted to split. Crew was professional. Prompt, thorough, cleaned up post job. Pricey. However you get what you pay for. A quality product backed up with quality service. February 14, 2016 by Anne O. Great Service and fair pricing. The staff are excellent at Richair. They did a great job replacing my old system with new Mitsubishi. Boris was fantastic as he was the lead technican who had a great deal of integrity. He pointed out some issues where I had originally planned on placing my new AC & after understanding the issues we adjusted our plans. I really appreciated his input as it prevented some potential problems. This company is a pricey but the service is good and the technician did a good job. Their service technician was punctual and professional. He was well versed on my Baxi boiler and explained everything as he serviced it. Their annual service contract is a little pricey, but is worth the peace of mind knowing someone knowledgeable and competent will arrive promptly if service is needed. Richair did a great job of installing 2 split A/C systems in our building. The workmanship was excellent, the crew professional, the job was done in a timely manner and the installation was impeccable. I highly recommend Richair. I tried several companies to service my high velocity HAC system and tankless boiler before finding Richair. They obviously understand the machines much better than any other company I have ever dealt with. I have been very happy that I found them. They are always very courteous and professional as well. 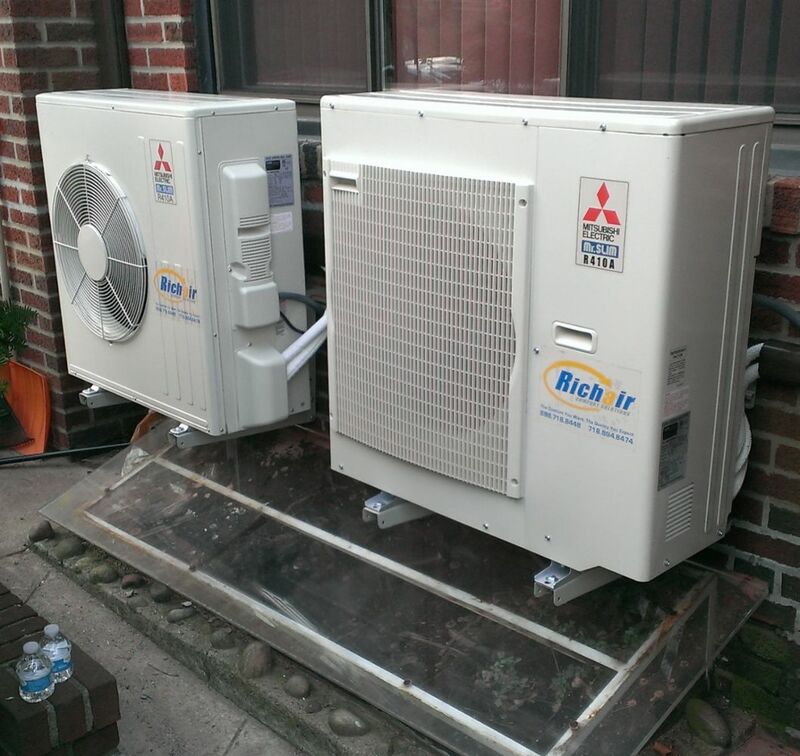 Richair did a wonderful job of installing 5 split mini units in our Brooklyn townhouse. They managed to do it in a way that looks much nicer than any of the other options we were offered by other HVAC companies. Boris had an eye for aesthetics and function and the price was right! This company does great work and provides service for all my units in our home. There is no doubt that I will recommend this five star company. February 4, 2016 by Barney C.
They have a great website and customer service. Purchase many items from them and never had any issues. Their delivery was also very fast. From start to finish, it was a great experience. They listened to my needs and helped me with the best product within my means. Although I moved out of state, I would have used them again if needed. I used Richair in November 2013. 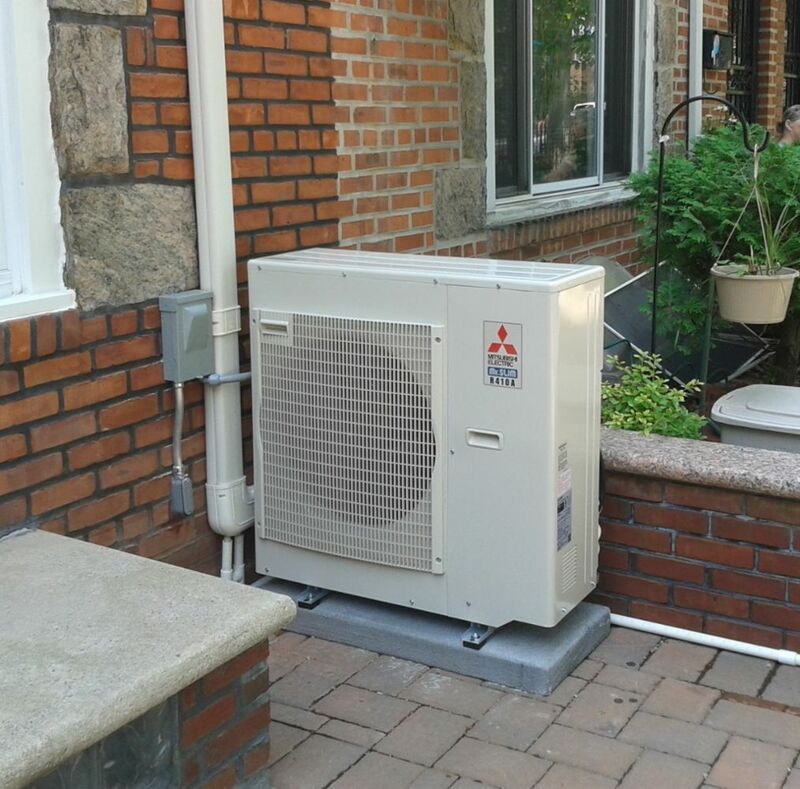 I had two outside units installed with five inside blowers.I bought the best system ( Mitsubishi ) The installation went as planned and the Techs were extremely courteous and considerate of my home and surroundings. After having this system for over two years, I wish I HAD INSTALLED IT YEARS EARLIER. And the system is all electric ( savings for the winter ) when gas rates increase. I would strongly recommend Richair for your heating and cooling solutions, you won't be disappointed. I have been dealing with Richair since they installed my air conditioning unit about 4 years ago. They have provided me with annual service calls to clean and check the units. Their technicians and the services they provide are more than excellent. The technicians are excellent and do their work quickly, efficiently with a minimum of disruptions. I whole heartily endorse both their products and services. I have a contract with Richair to service my Baxi heating systemThey are very professional and knowledgeable And when you have an appointment They always arrive on time I would highly recommend them! As a small owner of a multiple dwelling I know how difficult it can be to line up a good responsible contractor. Richair showed up when they said they would, made a great recommendation and followed through on every aspect of the job. The Mitsubishi unit they installed works great. Efficient professional service. I would recommend them.